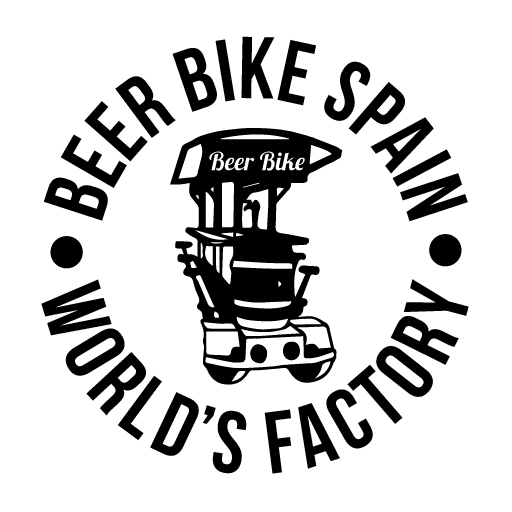 Beer Bike Spain is the first and the only one company that have the original Beer Bike 3.0, that already have all the improvings of the orange bull, orange bull 2.0, orange bull 2.1 and beer bike 2.0. 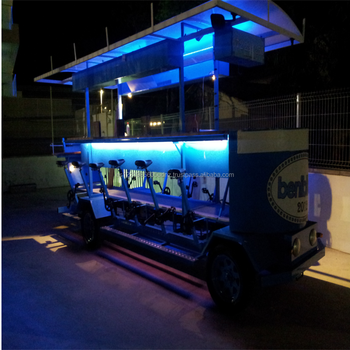 The main diference between our competence is the quality and the full homologation CE, the BEER BIKE 3.0 is the only one around the world that is full homologaed CE wich means that it can circulate in public ways legaly without any special permises. Other important question is that all our beer bike’s are always manufactured symmetric.We have a mold, to every piece and this allows to not to have a manufacturing mistakes. This reasons makes Beer Bike 3.0 the most cheap-profitable, secure and trustable beer bike in market. Why make a Beer Bike Bussines? -We proposed you make a profitable bussines with a very low investment. -You can Start your own bussines in a very few time. -It going to depends on you if the bussines is going to work well. If you move you’reself ,if you promote you’reself if you make a deals with agencies, make an advertisements, definedly Beer Bike is going to work well..
-Beer Bike bussines doesn’t have big fixed spendings like lights, wather ,gas or store renting, so you will not have excesive pressure if you don’t work. -You can combinate it with you’re other job and have it as a extra, but you should know that you can work very well working only with you’re beer bike if you hard manage it. -You can move you’re bussines so you don’t need that you’re customers go to you, you can move to them! -If you buy a beer bike you are producing employment to the people that is working manufacturing it (Mira family) and you also going to make employment with the people that work’s with you. · - 18 Persons Capacity + 1 driver. TOTAL 19 persons. · - Engranages with Spanish patent tecnology. · - Plates and chains KMC. · - 2 Speakers 250w. · - 1 Battery that is available for 8 hours working. · - Complet electric system with fuses. · - Cables inside chasis. · - Hithrolyc brake system to 4 wheels. · - 550kg, the lightest beer bike in market (Only one peron can move it). · - Manufactured with steel, aluminium wood and fiberglass. · - Best quality price relationship. · - Manufactored as European conditions. Do you need anything else ? Please take contact with us and we will answer you with any dubt you may have! MAKE YOU’RE ORDER ,FULL THE PRE – ORDER AND SENDING IT TO US BY EMAIL.